Jay releases his first developer commentary for Super Mario Bros Crossover. 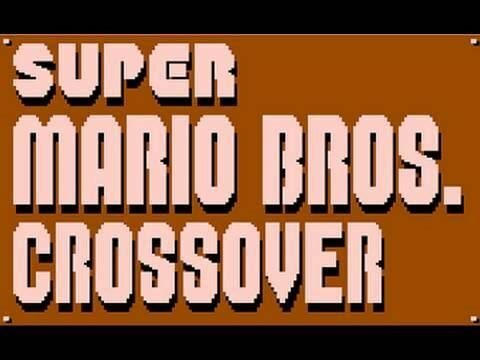 I recorded a short video commentary about Super Mario Bros Crossover. I give a small introduction and talk about Simon for a bit. I’ll probably do one for each character, and then I’ll do whatever you guys want. So please check out the video and let me know what you want me to do in the future by posting on the Exploding Rabbit Facebook Page (in the “Discussions” tab). Or you can just post wherever and I’ll probably see it. I hope you like the video! Now that I’ve seen all 3 video installments and heard that you went to filmmaking school, wouldn’t it be funny if you made a video in the same vein as bonus DVD dev interviews? Like in the Apple videos when they have the white background, the developer talks to an offscreen interviewer, and it cuts back and forth with other content, plus fancy titles for who those guys are! indeed, the best game ever. I honestly do not care what-so-ever about you “nostalgic ranting,” I’m doing the same to myself every time that I press the start button on Newgrounds. The fact that you took the time of your day to think “Hmm… What if instead of fighting, racing, playing tennis, and various other things that have absolutely nothing to do with platforming to the point of frustration all of the time, Mario and his friends worked together to stomp of Goombas and save Princess Peach, all in the same world?” The only thing extra that I could possibly have the audacity to think of asking you to do for me right now is to ask you to create a developer’s account on a website called “www.Kongregate.com” and publish your game on that website because, for some reason, it keeps popping up on the site, but it’s as if people are taking all of the credit for your creation and/or Greg, the site’s owner, is not informed of the fact that you stated that anybody can publish that game on almost whatever website that they wanted, as long as they made sure that you were properly credited. Could you please at least take that into consideration? I posted the game on Kongregate around the time I released it. Nintendo requested to have it taken off, and so it was removed. For that reason, I don’t want people to post the game on Kongregate. Great work man, very creative way to infuse old favorites with new energy. HAL did something like this in Smash Bros Melee (“adventure mode”) but I like how you kept things as true as possible to the originals, and the character-specific BGMs were a very nice touch. Hope to see more from you in the future! how do you make platform games? Do you have any license issues during making this game? My child dream has come true. Only an insane person can complete a project of this magnitude alone, and you are one of them. This is a great incentive for me to continue my work now. Thanks Jay! I love you dude. I’m 29 and totally love this game. Great little video too. I hope someday we can collaborate on something. now i dont have a facebook cus i think its dumb so ima post my comments here in the comment spot. first off y say what you used the donation money on lol, a donation is to help keep the site up 😛 but oh well at least you admited it wasnt a super expensive mic. i learned alot on the music for the character selection, i had no clue it was from mario 2. This is really neat. I wish more developers would do this. Thanks Jay!